According to a new study published in the Journal of Hepatology, there is an association between nonalcoholic fatty liver disease (NAFLD) and physical inactivity. Sedentary behavior means that your body is basically at rest—you’re performing such little activity that there is no increase in energy above resting level. For the study, researchers analyzed the relationship between sitting time, physical activity, and NAFLD. The study included more than 140,000 middle-aged Korean men and women. Activity levels and sitting times were established from the International Physical Activity Questionnaire Short Form, and an ultrasound was used to determine the presence of fatty liver. Researchers discovered that almost 35% of the participants had NAFLD. Sitting for long periods and lack of physical activity were both independently linked with NAFLD, even for people with a normal body weight (BMI of less than 23). 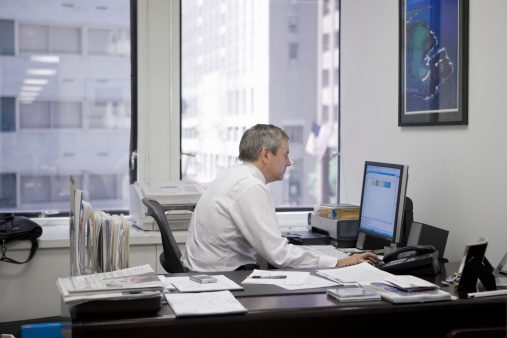 Vernon, J., “Prolonged Sitting Linked to Increased Risk of Nonalcoholic Fatty Liver Disease,” Medical News Today web site, September 15, 2015; http://www.medicalnewstoday.com/articles/299444.php. Seungho, R., et al., “Relationship of sitting time and physical activity with non-alcoholic fatty liver disease,” Journal of Hepatology September 15, 2015, doi: tp://dx.doi.org/10.1016/j.jhep.2015.07.010.